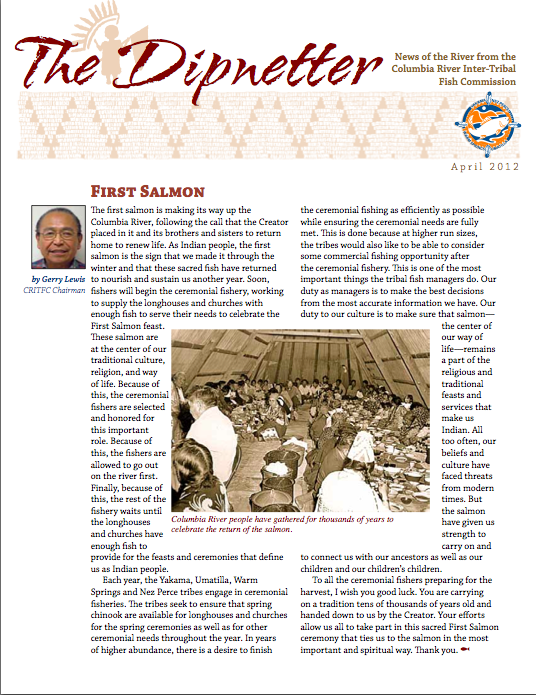 The Dipnetter is a monthly publication of the Columbia River Inter-Tribal Fish Commission. The newsletter is primarily for tribal salmon fishers to provide them information pertinent to their particular needs and interests. The contents of the Dipnetter are also found on the CRITFC Blog and the Fisher Announcements pages.